Malibu holds a special place in my heart because Andy and I frequented it often in the beginning of our relationship (we still do!). When we do the 'bu we typically like to make a day of it; starting with hiking, delicious food, and then some beach time. Keep scrolling to see my favorite places that you should definitely hit if you're planning a weekend in Malibu, including a google map to make it super easy to navigate once you're there. 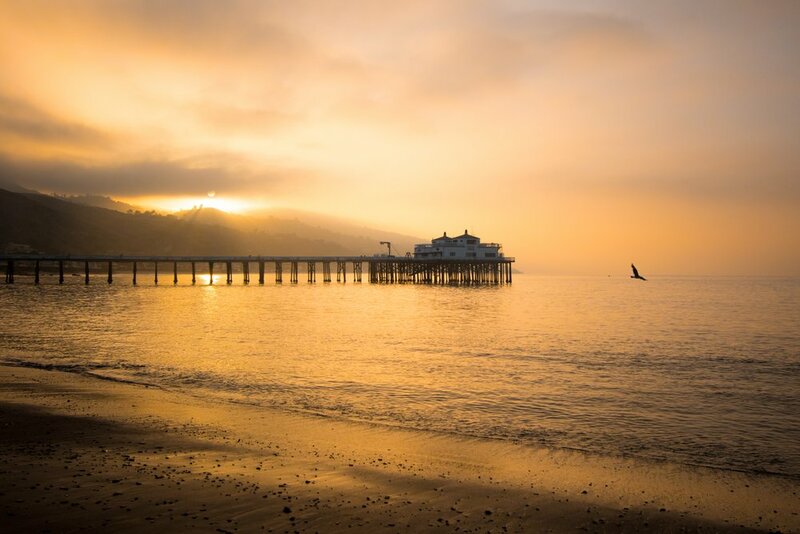 What to do in Malibu: Malibu Wines, Malibu Farm, and more. Malibu Farm - Farm to table restaurant on the Malibu Pier (make sure to go to the one at the beginning of the pier not the end). There's really no better spot to eat in Malibu and enjoy the gorgeous view of the ocean. They don't take reservations, so just take that into consideration. We've never had to wait more than 30 minutes. We personally like breakfast/ brunch best but you really can't go wrong with a sunset dinner or drink. Malibu Seafood - a delicious seafood joint off the PCH. There's nothing fancy about this place but they do serve up a yummy fish + chips. Great spot to stop to or from a day at the beach. The Malibu Cafe - is on the Calamigos Ranch property nestled in the middle of the mountains. They serve farm to table fair and also have tons of activities like life sized connect 4, chess, peddle boats, and more. This is a great place to spend a 3 -4 hours. Grab food, hang out, and scope out the property. It's a great spot for families and large groups as long as you make a reservation ahead of time. Food prices are a bit expensive but for the experience it's worth it! 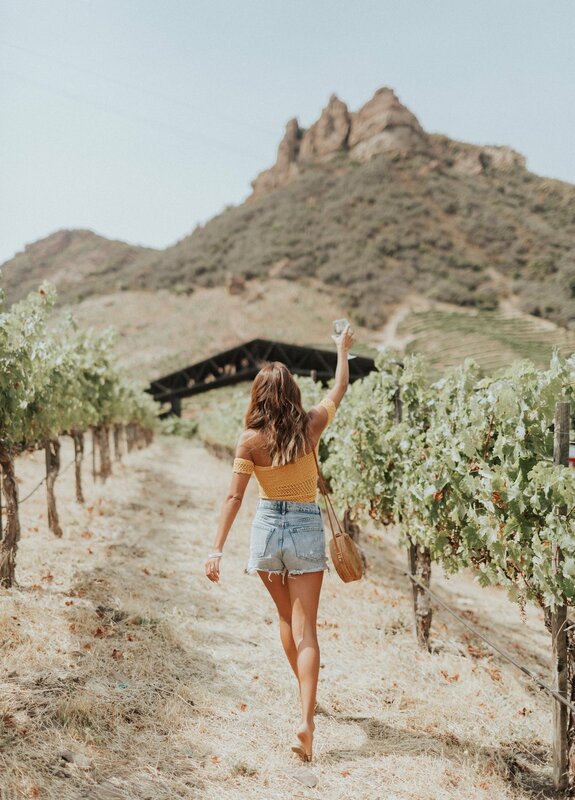 Malibu Wines - nestled in the mountains, this is a great outdoor wine tasting spot with live music and tons of Instagrammable moments. Definitely plan to uber and stay a few hours. During the weekends (especially in summer) it can get VERY crowded. I suggest going on the earlier side. Calamigos Guest Ranch - This is a stunning boutique hotel on the Calamigos Ranch Property (walking distance from The Malibu Cafe) with cute bungalow style rooms, multiple pools, and incredible service. Note, this is in the mountains and not beach front but they have a beach day club with complimentary rides to and from. I recently stayed for a girl's trip and cannot suggest it enough. Breakfast is complimentary and there's a bottle of wine waiting for you when you check-in (two things I love dearly!) This is a great spot to celebrate your anniversary or baby moon. Malibu Dream Airstream - probably the coolest Airbnb I've ever stayed in. There's pros and cons (read my post) and recently the price has sky rocketed because a ton of celebs have booked it. If budget isn't an issue and you want an out of this world experience, then do it! Malibu Country Mart - if you're looking to get your shopping on then this is the place. Great local boutiques plus your go-to spots like Sephora, Planet Blue, James Perse, and more. My favorite store is Burro which has gorgeous stationary, books, and candles. If you're hungry stop at Cafe Habana and don't forget to grab a marg! Malibu Surf Shack - this is a great spot by the Malibu Pier for paddleboard and surf rentals. We love to do an AM paddleboard sessions then hit Malibu Farm afterwards for brunch. Zuma Beach - this is where I've been going since I was a kid. It's a HUGE beach with tons of parking + it's not too far of a walk from parking to the actual ocean (ie: not endless amounts of sand that will burn your feet). Many people like Paradise Cove but honestly it's such a sh*t show there and always so busy. Save yourself a headache and just keep on going down the PCH to Zuma. 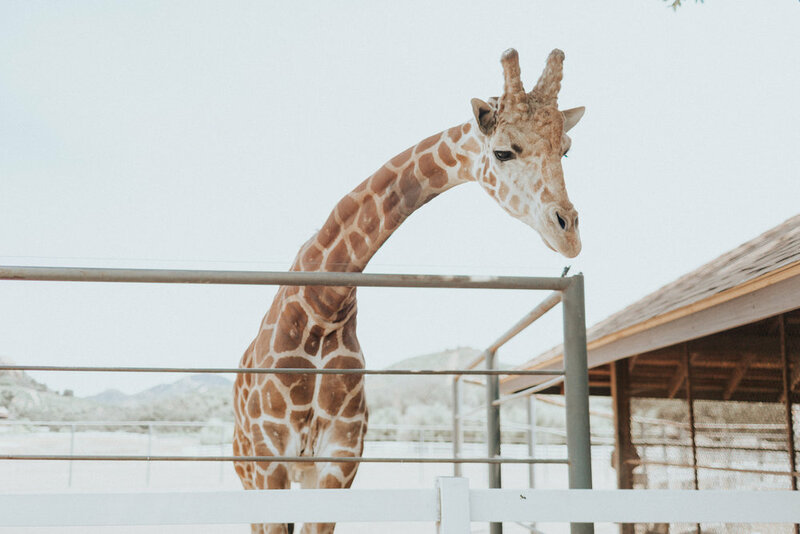 Malibu Wines Safari - this is a fun outdoor wine tasting + animal safari. There's tons of different wine + food packages. Whatever you do make sure you see Stanley the giraffe. I suggest making a real day out of it and hitting Malibu Wines Safari first then headed to their sister site I mentioned above, Malibu Wines, to continue the fun. They have a shuttle running back and forth!